"Former Director of the Angoulême Festival, Benoît Mouchart, 37, has, since last year, been editorial director of Casterman. Since his arrival, his priority has been to bring order to relations between the publisher and Hergé’s rights-holders, which in recent years have been complicated. “It's been done”, he enthuses today. To the extent that new projects, besides Le Malediction, are already in the pipeline. We're talking about a colorized version of “Tintin in the Land of the Soviets”, his first adventure?Benoit Mouchart: Yes, this is a project that has been embarked upon with the backing of Moulinsart. A test page has even been done, with rather sepia colors. I was a little skeptical at first, but I found it to be a real success. But we have no release schedule . Hergé finally abandoned publishing it because it was too close to albums like “The Calculus Affair”. There is a complete storyboard, and eight pages drawn by Hergé. We are talking of a publication, a bit like we published Alph -Art after his death. But again, there is no date." Simon, can you provide us with some background here- what is Le Thermozéro? It’s one of Hergé’s lost books. He had several projects over the years which, for one reason or another never got off the ground: from Tintin in the Far North, and early tale of the Arctic ice floes, to One Day in an Airport, in which Hergé would have had the characters interact and get involved in an adventure in the confines of a terminal building. So where does it fit in to his time-line? After work on Tintin in Tibet finished around 1960, Hergé found himself a bit burnt out (not a new experience for him) and bereft of ideas for a new book. He then recalled an article in Marie-France magazine from 1957, by French journalist Philippe Labro, entitled La peur qui vient du futur (Fear from the Future), which recounted an accident at a laboratory in Texas, where two families were contaminated by radioactive pills. Hergé had filed the article in his notes - he kept extensive files of reference and information - with a note to himself about a bottle of radioactive pills being taken, and involving Tintin as they took effect. Further notes were apparently added, which expanded into Cold War territory, with references to British double-agents Burgess and Maclean, the Bird Brothers (villains from The Secret of The Unicorn) escaped from prison, and a Russian scientist from behind the Iron Curtain. It sounds like he actually had quite a few ideas then? Yes, for someone who was stuck he did! However, although he’d these notes, he couldn’t get them into a plot. This led him to speak to Michel Régnier, future editor of Tintin magazine, but at the time a writer (under the pen-name Greg amongst others) of various comics, to see if he could develop these basic elements for the next adventure. Greg constructed a plot, initially entitled Les Pilules (“The Pills”), which, as it developed, involved an international crime cartel, a silent explosive, and a chase across Europe ending in Berlin. As a late replacement for the radioactive pills as a focus for the adventure, he came up with some sort of super-cold chemical substance, which existed at a temperature below absolute zero (> -273ºC). Greg called this substance “Zero Heater”; Hergé changed this to “Thermozéro”. So why wasn't Thermozéro published at that point, then? After eight pages were pencilled (a car-crash on a country road in a rain-storm, in which a man being chased by baddies is fatally injured, but not before he secretly slips a note to Tintin…) Hergé called a halt to the whole affair, and mothballed the project. It wasn’t working. For many years this was assumed to have been because he was dissatisfied with the story - a theory apparently held up by his lukewarm response to the animated film Tintin and the Lake of Sharks, which was also from a Greg story, rather than being written by Hergé. But that was just an assumption? Yes- Hergé actually seems to have liked the story, as far as it went: what he found he couldn’t do was work from someone else’s scenario without it cramping his process. He’d work fairly organically, allowing the story to take him new places if he though that there was a dramatic beat or a good gag to be had. That wasn’t a problem as he could just make up the next bit from wherever he’d landed. Being stuck with someone else plotting out everything stifled that, and he just found himself unable to go on. It’s also possible that the Cold War setting and chase struck him as being too similar to other adventures, especially the recent The Calculus Affair. He had pushed himself in a new direction with Tintin in Tibet, and he might have thought that he’d be going backwards if it became spys, guns and international intrigue again. In point of fact, if it was this feeling of repetition which got to him, Thermozéro might actually have been the exact best thing for him after all, as he began to work out his own plot which was its exact antithesis: a book in which nothing happens, and set entirely within the confines of Captain Haddock’s house. Am I right in thinking the book wasn't left there? Something else, which was less well known - in fact hardly known at all, to the point that some still doubt it to this day - was that, rather than discard the script, he passed it to right-hand man and chief studio artist Bob de Moor, and asked him to try and adapt it as an adventure for Jo, Zette & Jocko, Hergé’s second-string series, about a brother, a sister and their pet chimp. He’d no great love for the series which had been demanded of him by publishers looking for comic adventures with a stronger family structure than an independent, gun-toting boy-reporter who had no obvious parental figures could provide. The series was moribund, but Hergé saw something useable in Le Thermozéro, which was thus taken and re-shaped for these other characters; and then it was shelved again! 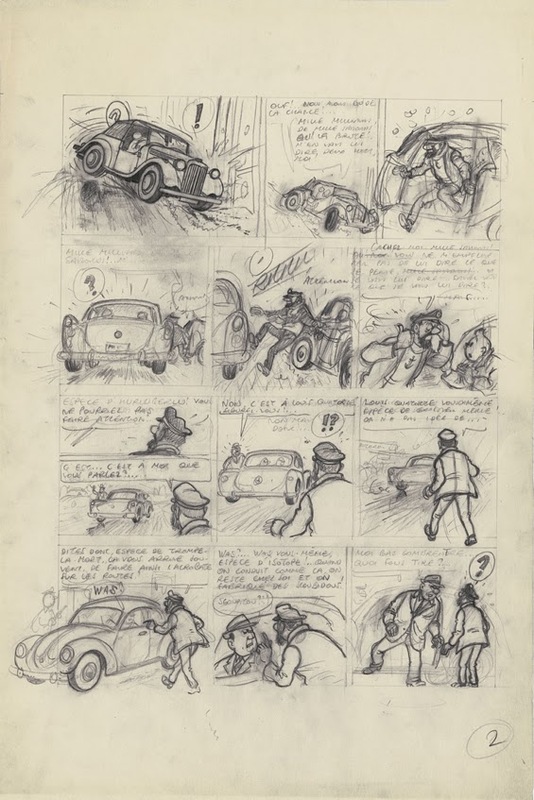 Nevertheless, some sample pencilled pages, along with notes and sketches were published in a biography of Bob written by Bernard Tordeur (now the senior archivist at the Studios Hergé). Although these passed largely un-noticed, and many people never saw them, I was fortunate to be given a copy of the bio by my brother, and I filed the information away in the back of my mind. So when I attended a Tintin-themed conference at the Maritime Museum in Greenwich 1o years back, I had the opportunity to ask M. Tordeur in person about this forgotten J,Z&J version of Thermozéro, and how much of it was done - and he dropped the bombshell that it was effectively complete! Not “finished” art, but a whole story, worked out and at least sketched up, and that, as far as he could tell, it could be published. 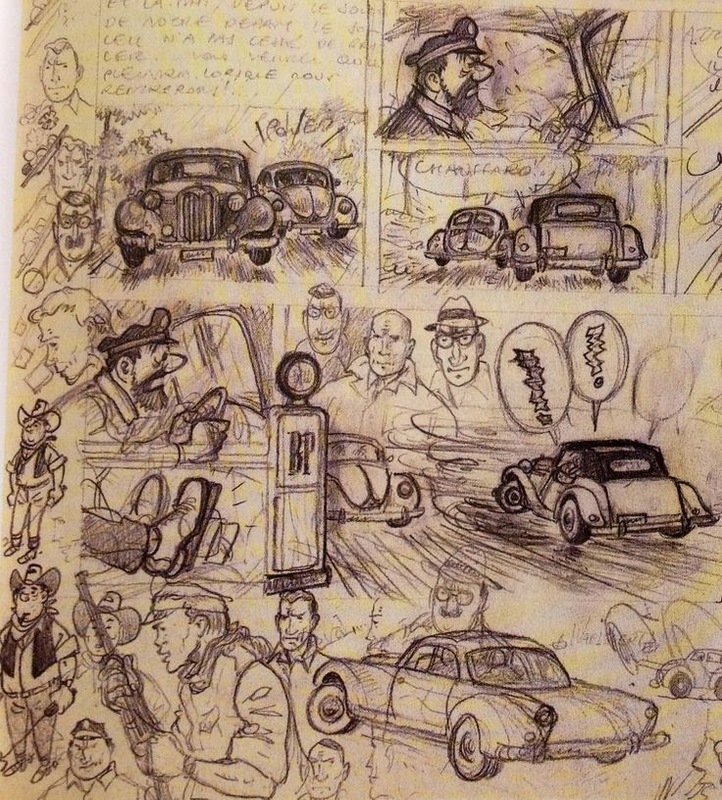 He compared that idea to the Tintin and Alph-Art book, which collected Hergé’s last sketches and notes. Nobody had asked him that before, and he’d never volunteered the information. What is Casterman's role in potentially publishing this 'new Tintin'? Two or three years ago, Nick Rodwell, husband of Fanny (Hergé’s widow), announced in a press interview that, due to a lack of proper promotion of the books, he was seeking a “divorce” from Casterman, the publisher long associated with the works of Hergé. Casterman responded by saying that they were surprised, and unaware of any dissatisfaction.Although the full details of the situation at the time haven’t been made public, there was definitely a cooling of relations, which then disappeared from public view. Can we draw any conclusions from this, do you think? While it’s possible that Casterman had become complacent, it could be that there was a natural decline in sales - I can’t say, that’s a business matter outside of my knowledge. However, one can imagine that lack of new material didn’t help in keeping the series to the forefront - and there was a complete embargo on any new Tintin adventures, at the behest of Fanny. She has the last word, being the beneficiary of Hergé’s estate? Yes. She had decided that Hergé had wanted the series to end with him, and as such, she determined to act on that wish. So she could allow a new book? Yes, it nearly happened soon after Hergé died. After being initially advised by several parties including Casterman to allow the studio to finish Alph-Art under the guidance of Bob de Moor, she then had a genuine change of heart, and stopped its completion; the studio was dismantled, the staff let go, cutting off the chance of continuing the series. Years passed, and the decision remained in place: no new work, in respect of Hergé’s wishes. When did the rumour of a 'new Tintin' book in the pipeline start? So it's pretty much up in the air until then? Well, then there were changes at Casterman too: it was restructured, Benoît Mouchart (who’d been artistic director of the Angoulême International Comic Festival) took over, and rebuilt the bridges with Moulinsart. They announced a big sponsorship deal with the Musée Hergé, and secondly announcing that they would also produce a lavish book on the production of Cigars of the Pharaoh from B&W original to final colour version, as a celebration of their many years working on Tintin. Finally we got the unexpected but welcome sight of Mr Rodwell, Benoît Mouchart, Benoît Peeters, and Numa Sadoul (a journalist who, as a student, bagged the biggest interview with Hergé ever done, which became a book and the basis of the documentary film Tintin et Moi) sitting on stage at last year’s Angoulême Festival, discussing the future of Tintin, in a very civil and constructive debate. Have they announced the new Thermozéro book then? No, but it threw up the notion that Moulinsart was not discounting new books based on the character - and their tentative suggestions were that we might see a coloured revision of Soviets (indeed it was said that they were already carrying out tests) in an edition more like the other books, and that unfinished stories might be re-vamped, including the long-lost Thermozéro. As an aside, Nick Rodwell gave a very moving account of how his wife had been on the brink of signing the contract with Casterman to allow Alph-Art to be completed, when she found herself unable to do so because she knew in her heart that Hergé would not have been in favour. A big worry was that, had Alph-Art gone ahead at the time, it would have been in effect ersatz Hergé, and might have been found wanting, tarnishing his legacy; but now, such a long time since Hergé had died, his reputation is made and secure, and there is a clear line of demarcation between the original books, and anything that might appear by other hands, without his imprimatur. So the door was open, at least a little, but nothing set in stone? By the end of the festival the “word on the street” was that they were shooting for a 2017 re-launch, although no such date is mentioned in the debate, and nothing concrete was said - it is/ was all hypothetical. It's possible that some sort of version of Thermozéro could appear. 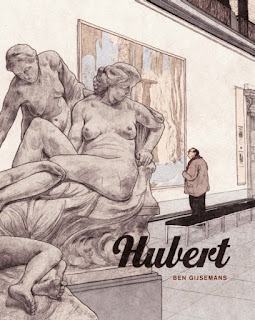 The recent newspaper article with Benoît Mouchart repeats much the same position as they had at Angoulême, but with a little more firmness than the hypotheticals of the debate. Casterman have affirmed their interest, said that they are developing a Thermozéro book with Moulinsart, and that they are looking at it being a collection of work in progress, akin to Alph-Art, rather than a finished book by new artists - which is what some recent reports seem to suggest - but there is no firm date for a release as yet. Many, many thanks to Simon Doyle for his time and patience.